5 Tips for Less Stress This Budget Season! Do you cringe when you hear the words “budget season?” If so, you’re certainly not alone. Budget season is a busy time for multifamily professionals. With numbers to crunch and dollars to stretch, it’s easy to get overwhelmed and stressed out. Take a deep breath and check out these 5 tips to help make this budget season a little less stressful in your office. Walking in to the office each morning and being greeted by a messy, disorganized desk is a guaranteed way to start your day off on a stressful note. So, at the end of each day, take a few minutes to organize your desk so you can start the next day with your paperwork organized and easy to find. Stand up and stretch. Take 5 deep breaths. Take a quick walk around the block. Stepping away from your desk every now and then allows you to clear your head so you’re mentally prepared to take on your next task. You don’t have to do everything yourself. Instead, delegate tasks to your team so you can all work together to ensure everything gets finished. During the busy budget season, it’s easy to put yourself last on your list of priorities. Don’t fall into that trap! Unhealthy habits like frequent trips to the vending machine and skimping on sleep can actually make you more stressed! Instead, make sure you’re eating a healthy, balanced diet, getting regular exercise and clocking enough sleep each night so you wake up feeling rejuvenated and ready to bring your A-game to the office. I know, I know. It’s easier said than done. But you’ll drive yourself (and your family and friends) crazy if you’re constantly checking your email at all hours of the day. Instead, carve out quality time with your family and friends -- free of work distractions! And stop checking emails a couple hours before bed so you can unwind before you go to sleep. View 5 Tips for Less Stress This Budget Season! Most renters, particularly Gen Xers, will pay extra to live in a gated community. A majority of renters, particularly Gen Xers, will pay to live in a gated community. Safety isn't often thought of as an amenity, but it can be quite a selling point. And it can raise the bottom line from curb appeal alone, according to our survey of more than 84,000 renters nationwide. When asked if they'd pay more to live in a gated community compared with a "drive-through" community, 53% of all renters said they'd be willing to open their purse strings for that sense of safety. But how much are they willing to pay for this feature? To what degree do they place a premium on gated communities? 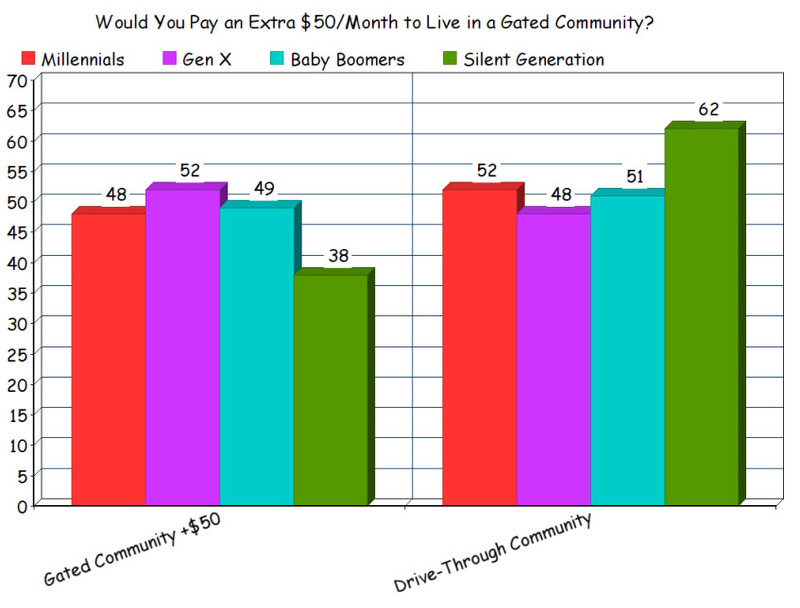 When asked if they'd pay $25 more per month to live in a gated complex, 58% of Gen Xers said yes, followed by 53% each of millennials and baby boomers. 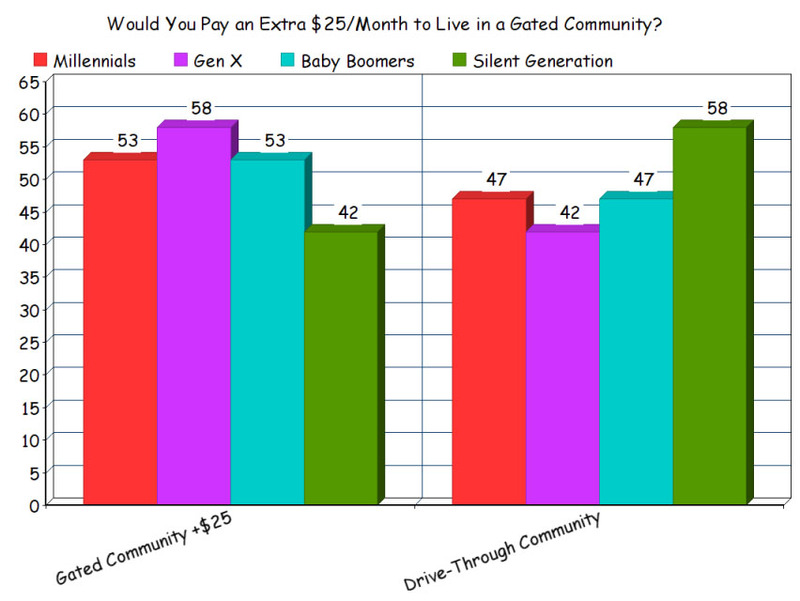 The Silent Generation, however, wasn't as enthused; only 42% of them would pay $25 more a month for this luxury. What happens when we ratchet up the cost of that feature to an extra $50 per month? Surprisingly, the drop-off isn't significant. Gen X continued to lead the way in putting a premium on this safety amenity, with 52% saying they'd pay $50 more. This is a stark contrast to the 38% of the Silent Generation renters who said yes. Again, baby boomers and millennials placed a similar, albeit smaller, premium on the feature, at 49% and 48%, respectively. The full results of our groundbreaking survey, The Next-Gen Apartment: What Renters Want, done in conjunction with J Turner Research, will be unveiled at the Multifamily Executive Conference in September. View Most renters, particularly Gen Xers, will pay extra to live in a gated community. Move-in day is around the corner and each year colleges and universities prepare to welcome students for the fall semester. On Call Now has put together three tips that can help make your life easier for when that hectic day arrives. Move-in day is hectic, no doubt about it. It takes a lot of organization just to get through it and get everyone settled in. And even with the best plans, chaos can reign supreme. But turn time is the best time to lay the groundwork for streamlined processes and smooth relationships with your new and returning student residents. Here are three tips that fit into any move-in day plan. They’ll help save staff time, reduce late payments and cultivate responsible residents long after move-in day is over. Get all their contact information up front—in advance is best. Phone, email, social media. Students usually have multiple contact points. Get it all. And make sure you get all the contact information for their parents, too. Keeping parents in the loop greatly increases your ability to get responses and results. Get as much information as you can prior to move-in day. It may be mission impossible trying to obtain it after. Rent guarantee agreements may be legally binding, but reminders trump collections any day! This is where having all the students’ and parents’ contact information is critical. It’s much easier to send a reminder—and it’s effective, too—than to try to collect delinquent rent. Message notification services like One Call Now make it easy. Use it to send voice and text messages via land lines, mobile phones, email and social media. Automated features save loads of staff time. Create and store messages and schedule delivery dates and times. Multiple delivery points for each message make it simple to include parents in your reminder messages. If it’s feasible, consider sending reminders regarding other housing expenses: utility bills, insurance premiums, and parking permits. If it affects your property, it affects you. Let them know what you’ll do. You may already have something in place—your website, literature—to let your student residents know their responsibilities. But don’t fall short when it comes to letting them know your responsibilities. What you will do when a repair is needed; when there’s property damage; when rental payments are late; when they become delinquent. Let residents and parents know the steps you will take. What they can expect. Knowing that there’s a process in place inspires confidence and satisfaction. And understanding the consequences when they default on their responsibilities fosters compliance. The steps you take up front to establish your resident/parent communications will payoff throughout the term of the lease. Read On Call Now article here. View Are You Ready for Move-In Day? The NJAA Conference & Expo is Tomorrow. 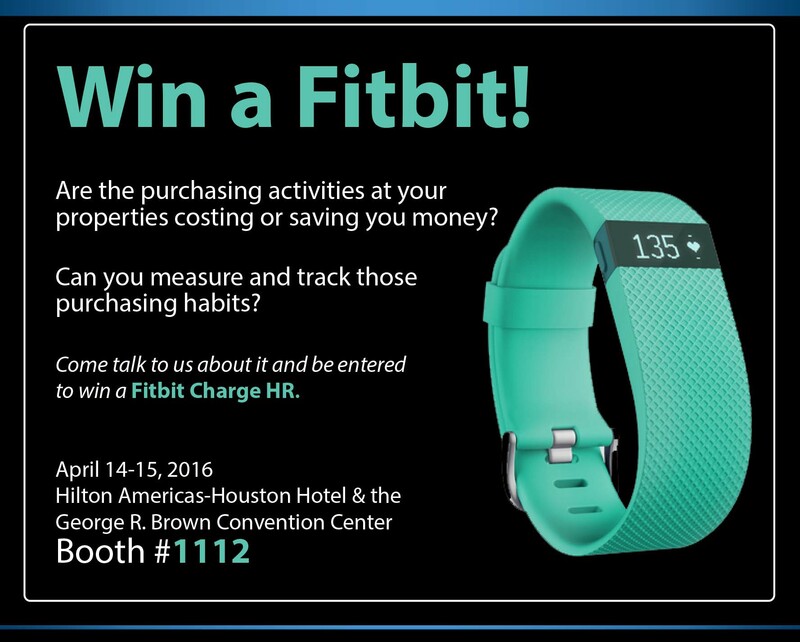 Make Sure to Visit Buyers Access at Booth 708! If you'd like to set up a meeting during the show, please contact a Buyers Access Team Member below. Click below for more NJAA information. 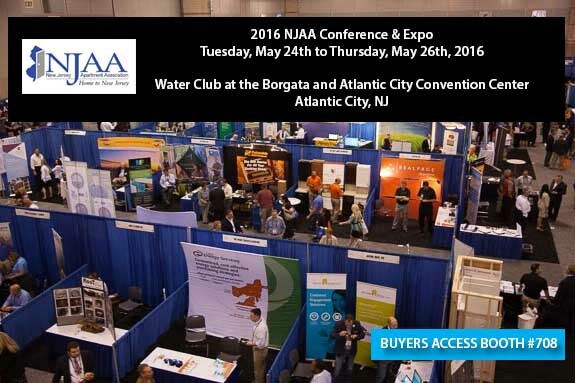 View The NJAA Conference & Expo is Tomorrow. Make Sure to Visit Buyers Access at Booth 708! Receive a free consultation on the Smart Advantage Purchasing Program. Learn how your organization can leverage the Smart Advantage Purchasing Program to improve efficiency, while increasing NOI. Click below for more TAA information. 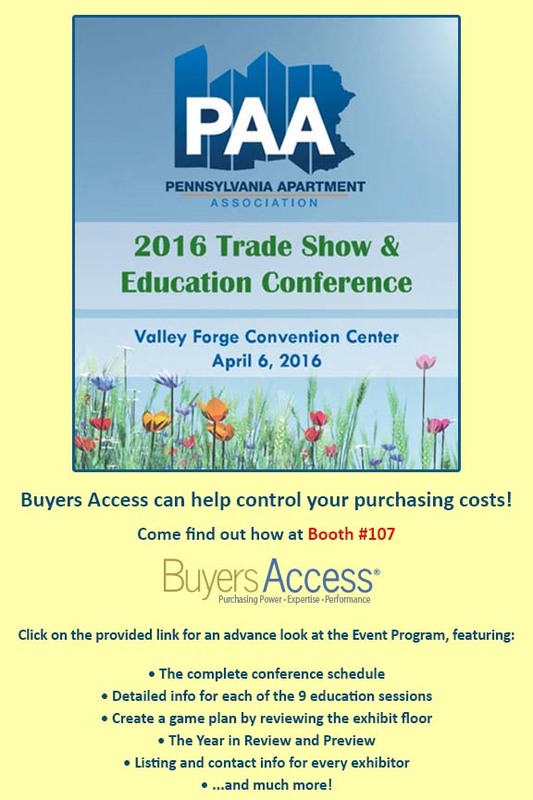 Click the below link for the PAA trade show program.